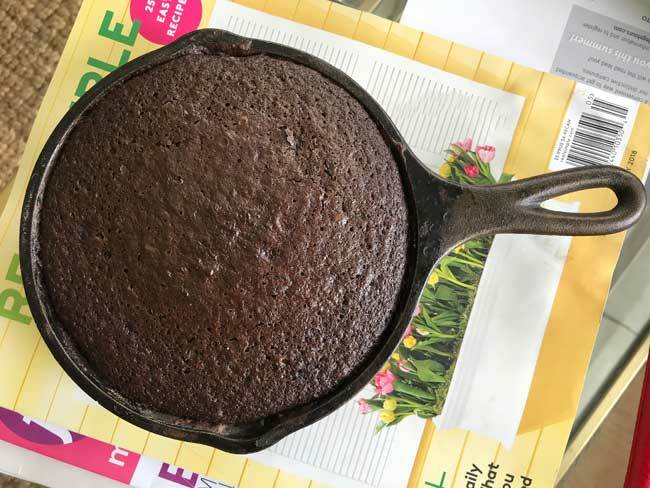 If you want to try the Cast Iron Skillet Chocolate Cake from Serious Eats but don’t have a lot of people to help you eat it, here’s a scaled down version made in a small skillet. I came up with the idea while rummaging through the cabinet trying to find my 10 inch skillet and wondering what I’d do with the rest of the cake after we’d eaten some. I couldn’t find my 10 inch skillet, but my little 6 1/2 inch Lodge skillet was ready and waiting! Problem solved. I’d just make 1/4 of the recipe. Making 1/4 of the recipe was super simple, but I did run into one tiny issue which was that it was difficult to thoroughly mix the batter directly in the skillet (as per the original) without making a huge mess. While it can be done, I recommend using a medium size mixing bowl. You’ll also need a 2-cup microwave-safe measure or a bowl for the ganache. What I love about this recipe is how streamline it is. Even if you can’t do it all in one skillet or bowl, it’s just kind of a pleasure to put together. Serving it was fun, too. We enjoyed this cake so much that the next day I made a Small Cast Iron Skillet Caramel Cake. I’ll post the recipe for that one soon! 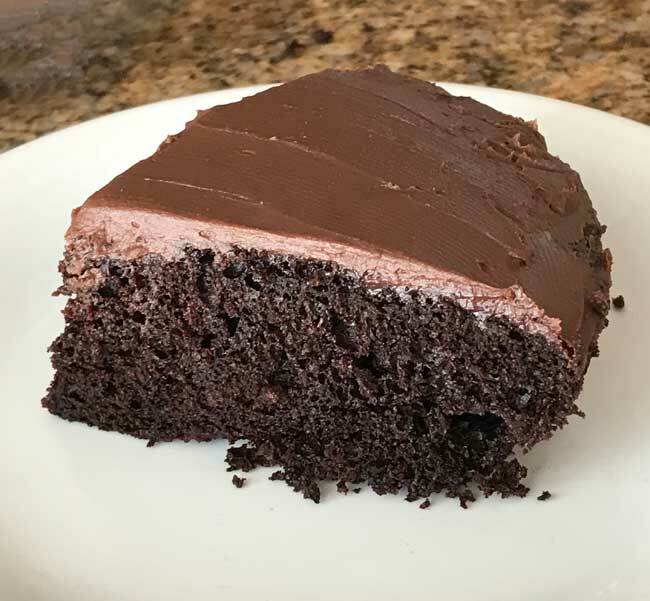 Milk Chocolate Ganache Frosting: Put 2 oz of heavy cream in a 2-cup microwave-safe glass measure or microwave-safe bowl and heat for about 30-40 seconds or until it starts to boil. Add the chopped milk chocolate and stir until melted and smooth. Let cool at room temperature for about 15 minutes, then cover and refrigerate until needed. 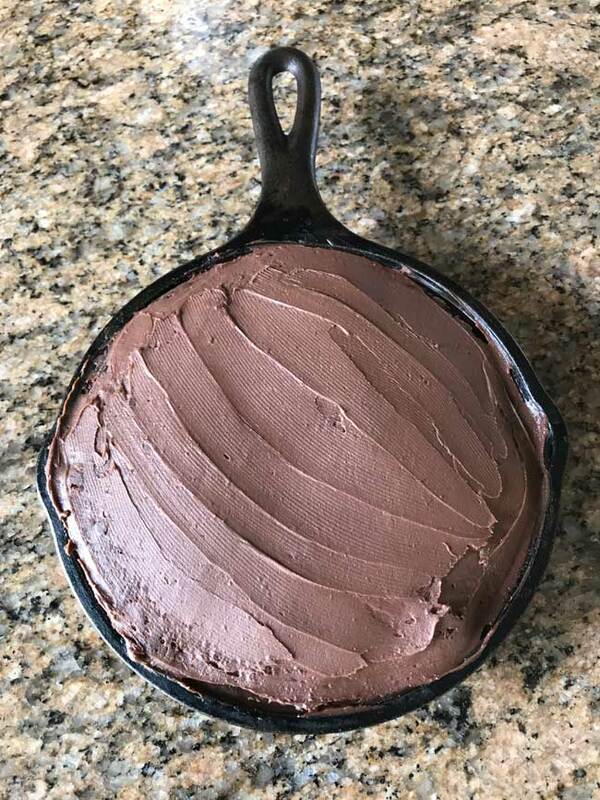 Skillet Cake: Preheat to 350°F. 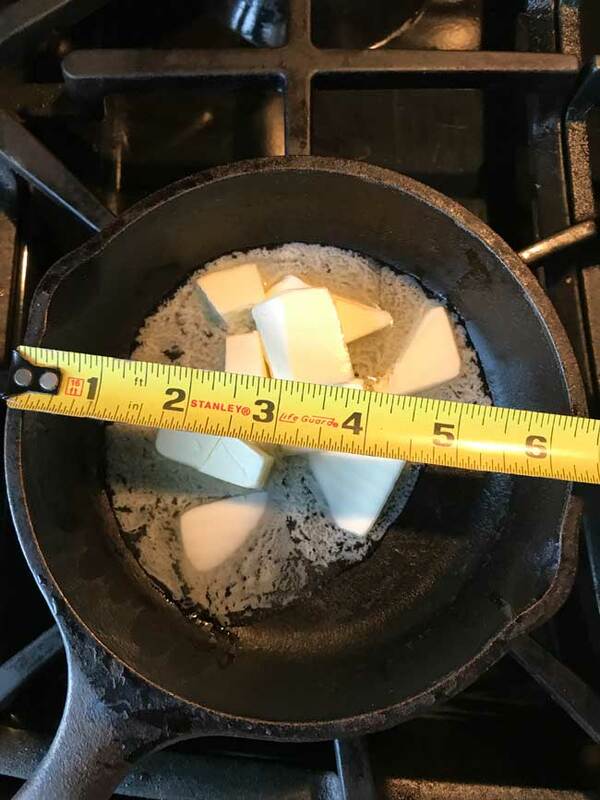 In a 6-inch (or 6 1/2 inch) cast iron skillet, melt the butter over low heat. Stir in the coffee. Remove from heat and mix in the cocoa powder and dark chocolate, stirring until chocolate melts and mixture is smooth. Scrape the mixture in a medium size bowl and stir in the brown sugar, vanilla and salt. Stir until smooth, then whisk in the egg until batter is smooth. Stir in the baking soda and the flour until fully blended. Scrape mixture into skillet and bake for 25 minutes or until cakes springs back when touched. Remove from oven and let cool completely. To frost, stir the milk chocolate ganache until it is creamy (Stella describes it as a little looser than buttercream and sort of like yogurt) and the spread over the cooled cake. Serve immediately or let sit at room temperature until ready to serve., or leave at room temperature until ready to serve, up to 24 hours at cool room temperature. No, mine sure didn’t. I was expecting a crust of some sort, but it just seemed like regular chocolate cake. Does it get a crust on it from baking in the cast iron?